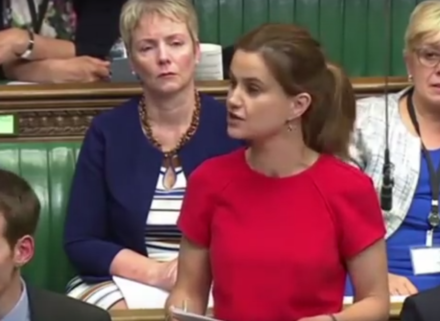 I was in the conference hall in 2016 when Tom Watson announced the creation of a new training programme for women in honour of Jo Cox, who had tragically been killed only a few months previously. Six hundred Labour women over a five-year period would be given the chance to embark on a high-level training programme with the aim of encouraging them to run for elected positions at all levels of the party. As the announcement was loudly applauded around the hall, I reflected on what a great idea it was; a fitting tribute to an incredible MP and a timely way to encourage more women to lead the way in public life. Never did I consider for one moment that I would be fortunate enough to be one of the 57 women chosen from over 1,000 applicants to join the first cohort of the programme. Applications for the second cohort of trainees opens today. At a time when politics and public life is in the spotlight for its poor treatment of (mainly) women, I want to highlight the positive steps the Labour Party is taking to increase women’s representation and champion feminism. I hope that by encouraging more talented Labour sisters to apply for the programme; it will bring us ever closer to gender parity at all levels of the party. The high-profile successes of the programme are well known. Before the course had even finished, two of us became elected MPs and history making ones at that with Preet Gill as Britain’s first female Sikh MP and Rosie Duffield as the first ever Labour MP for Canterbury and Whitstable. Nine more of us were selected as parliamentary candidates and one of us, Brenda Dacres, recently stood for selection as the candidate for Mayor of Lewisham. With the ink barely dry on our graduation certificates, we are now busy looking ahead to local elections, parliamentary selections, taking up prominent positions in our CLPs, campaigning on a variety of issues and generally being awesome Labour women. The course has taught us the necessary skills and tools for good leadership and has opened up a new world of opportunities. What has been most valuable though, are the more nuanced leadership skills we have developed. Where once we would have been scared to be viewed as “bossy” or “difficult” because that’s what we had been conditioned to think; we now feel confident in speaking up, knowing that our opinions are valid and deserve to be heard. Instead of being reticent in sharing ideas, we now recognise that we are good enough and we do deserve a seat at the table. Above all else, I came to learn what it is to be part of a sisterhood. I knew that I would encounter some incredible women on the programme, but I never imagined that we would so quickly form what is now an unbreakable bond of friendship, sisterhood and solidarity. We are 57 women from all walks of life with a range of different views and opinions. We hold each other up, push each other forward and respect each other’s opinions; constantly there as shining examples of what it means to be a good feminist. In a world where the political discourse is increasingly negative, this powerful collective has become a haven for respect, tolerance and loyalty and there is much to be learned from that. I am not here to tell you that the Jo Cox Women in Leadership Programme is a fast track ticket to becoming an MP. It is an intense programme led by the inspirational Nan Sloane who will challenge everything you know about yourself and build you back up again into a better version of you; ready to take on new challenges whatever they may be. I am here to tell you that it is worth it. If, like I was, you are hesitant about applying for fear of being rejected; don’t be. Take a deep breath, champion what you’re good at and submit your application. It may turn out to be the best decision you ever make. Ellen King is an alumna of the Jo Cox Women in Leadership Programme.